I’ve got a real soft spot for Gauntlet. 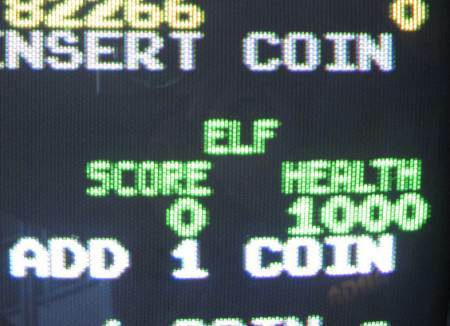 The 4-player coin-op seemed monstrously big to me as a child, and I loved the resounding bass of the music and the “Wizard is about to die” speech. I was so desperate to own US Gold’s ZX Spectrum home conversion, I swapped my precious copy of Pete Cooke’s Academy, which I’d won in a C&VG competition. The original concept document for Gauntlet. Click for big. Illustrator = ? Debbie Hayes ? The noble knights and magicians of the realm must rid the Castle Morda-nima of the evil demons and monsters and restore it to its original glory. Player characters will be player selectable. Eight different starting characters will be available for the player to choose from. The characters will all be somewhat different but yet be relatively equal. Some would have good short-range abilities but lack some long-range power or speed of another. They would be dressed and/or color coded to distinguish them as to player ownership. The player-pawns would move around the maze controlled by the player. They will need to find keys, food, treasure and assorted other items while trying to kill opponents. Playfield will consist of walls (brick, rock, steel and other wall materials), doors (single and double) and other castle/dungeon items. These will be laid out to form a large (up to 3×3 screens) maze/level. Levels will be connected via transporter devices. There can/will be many levels (64, 99, 128?). The view will be from 3rd person NQTD. NQTD = Not Quite Top Down. Players will start by inserting coins for credit and then selecting his/her player-pawn. The selection is done in the player status window. This action can take place during game play and not affect other players. Once the selection has been made, the player-pawn will be transported to a clear area near the center of the screen. This transportation will use the “Star Trek” sparkle effect. Early character artwork. Ed only has black-and-white photocopies of the original colour versions. Early versions of the Gauntlet characters, with different names. Ed Logg wasn’t sure why the character names changed. 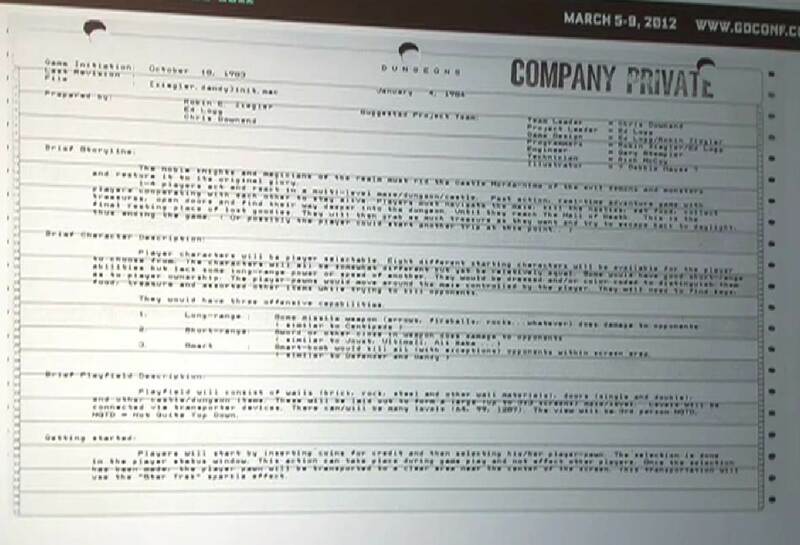 Report from an Asteroids focus group. Ed Logg does not like focus groups. 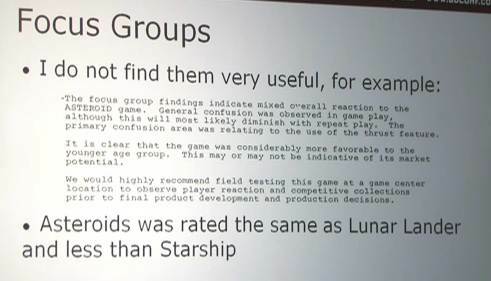 The focus group findings indicate mixed overall reaction to the ASTEROID game. General confusion was observed in game play, although this will most likely diminish with repeat play. The primary confusion area was relating to the use of the thrust feature. It is clear that this game was considerably more favorable to the younger age group. This may or may not be indicative of its market potential. We would highly recommend field testing this game at a Game Center location to observe player reaction and competitive collections prior to final product development and production decision. 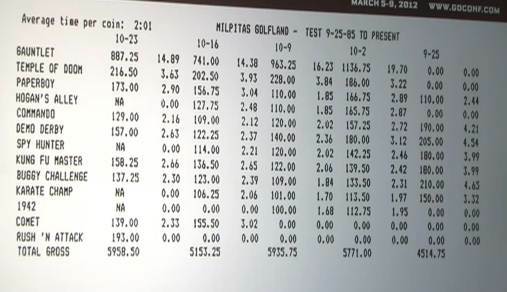 Fascinating slide: the data from the ‘field tests’ of various Atari games, showing how much money they made in a test location (in this case, Milpitas Golfland in California) prior to release. Each pair of columns is for a different week (starting at the right: 25 September 1985, 2 October 1985, and so on). 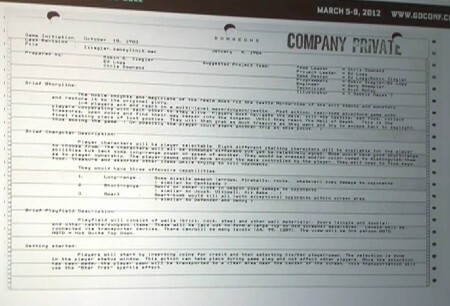 Ed mentioned that there were 5 patents issued for Gauntlet – his first ever patents. Here’s one of them from Google Patent Search, Patent #4738451. Fascinating. I consider Gauntlet a masterpiece of game design, but this video shows how well thought everything was, even from the economic point of view. Does anyone know how I can send an email to Ed Logg? I wanted to ask him about the 2097152 point bug in Gauntlet final revision and Gauntlet 2. This was 16,384 (the score base counter x 128). This is significant because if you were still alive ON ONE CREDIT inserted, the game went from giving you no food to giving you all possible food drops for that level. (Wizard was still penalized -1 food if the game was set to difficulty 0=easiest). 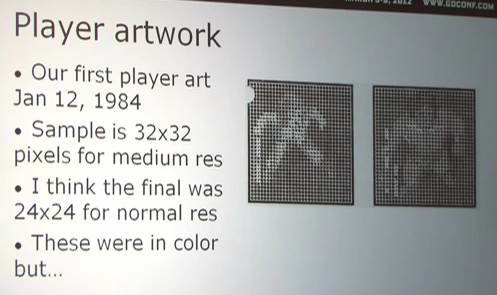 At 16,384×256 (4194304), the game score scaling difficulty hard reset as if it were a new game. I wanted to ask him why this bug occurred and if it had anything to do with powers of 2, unsigned or signed numbers, or that 255 is the highest 8 bit value. I don’t even know if he was aware of it (I’m sure someone must have told him by now).